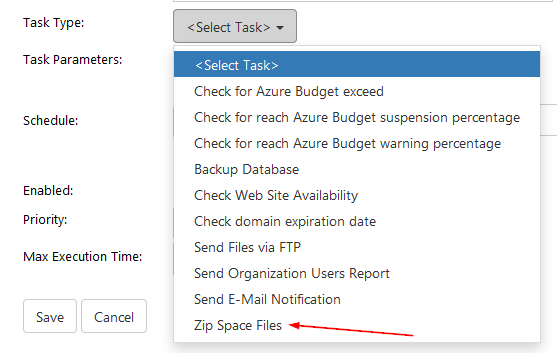 Then select Zip Space Files task type from the drop-down menu. You will see extra options for this. All simple now: just fill in the field Space Folder and select Zip File. Note: date and time variables are supported.